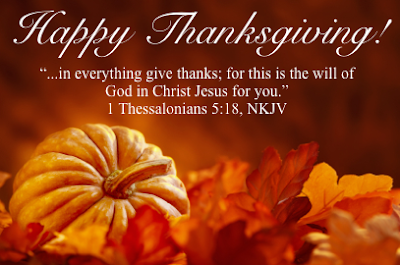 I just wanted to wish you all a very Happy Thanksgiving! May your day be filled with good food, gratitude, and lots of love! Be sure to start this day and every day thanking God for his many blessings. Every day that we wake up is a gift so that alone is something to be thankful for. I pray God's richest blessings upon you and your family.